George is a girl. But everyone sees her as a boy. The perception is so strong, that she doesn't know how to tell them any different. Until the perfect opportunity comes along. She can play the spider, Charlotte, in her school play. It's the perfect part for her as the eloquent, yet understated heroine. But will she be allowed? What will her best friend, Kelly, say? I've read several non-fiction books about gender identity. This fictional piece did a better job of clearing up the issue than most of the books I've read. It did this in a simple way. It consistently referred to George as "she" and "her." Despite what the world tells her, despite what her body seems to be, George knows she is a girl. Besides being true to yourself, this book also teaches the value of those who honor other people's identities. Most of the people in the book reject George's truth. But those who accept her make all the difference in the world to enabling George to be true to herself. I especially enjoyed when her grody, self-absorbed older brother greets the news with, "Weird. But it kinda makes sense. No offense, but you don't make a very good boy." Gender is such an assumed identity marking, dividing girls from boys with such basic things as where you relieve yourself. 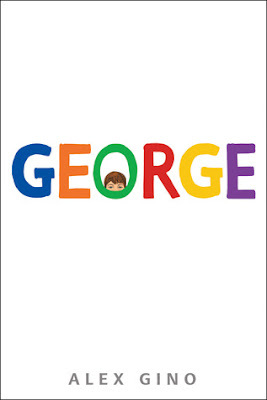 Seeing the world through George's eyes helps us see how harmful such assumptions can be.